A crazy rich family in Singapore. A domineering matriarch. Inconsistent accents. A show starring an Asian-American. The trailer for the film adaption of Singaporean Kevin Kwan’s bestselling novel, Crazy Rich Asians, starring Constance Wu from US sitcom Fresh Off The Boat? Or Masters Of The Sea? No wonder Singaporeans hate the Crazy Rich Asians trailer. Singaporeans hated Masters Of The Sea too. 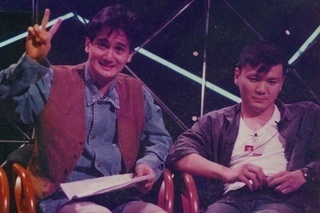 For those of you who weren’t born when Masters Of The Sea premiered on Channel 5 to much derision in 1994 or too young to remember Singapore’s first locally-produced English-language TV drama series, lucky you. It was so long ago Mediacorp wasn’t even called Television Corporation of Singapore yet. It was still Singapore Broadcasting Corporation (SBC). I should know. I was working at SBC at the time as a research writer on a variety show called Live On 5 hosted by a nobody named Gurmit Singh. The ex-wife of Allan Wu was in the news last week when The Straits Times reported that she will be stepping down from her role as executive director of the Public Hygiene Council after less than a year in the job. ST helpfully added that the former actress had no academic or work experience in the area of public hygiene before getting the job. 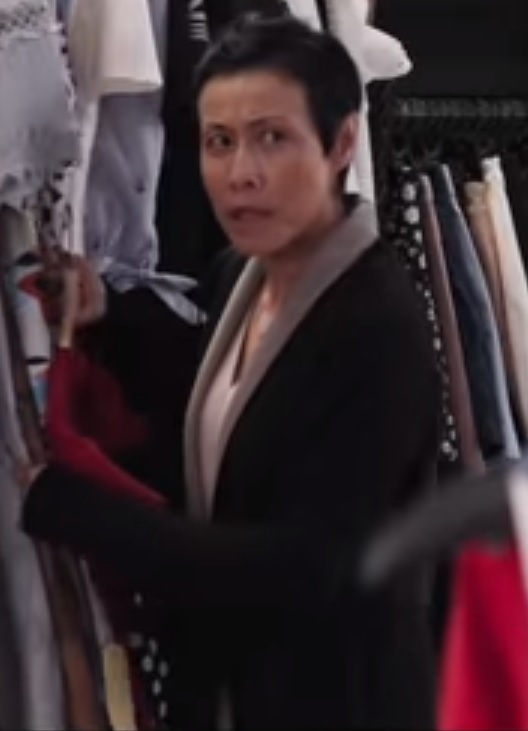 Wong was described as being best known for starring in the old Channel 5 cop show Triple Nine, but her first big role was in Masters Of The Sea. 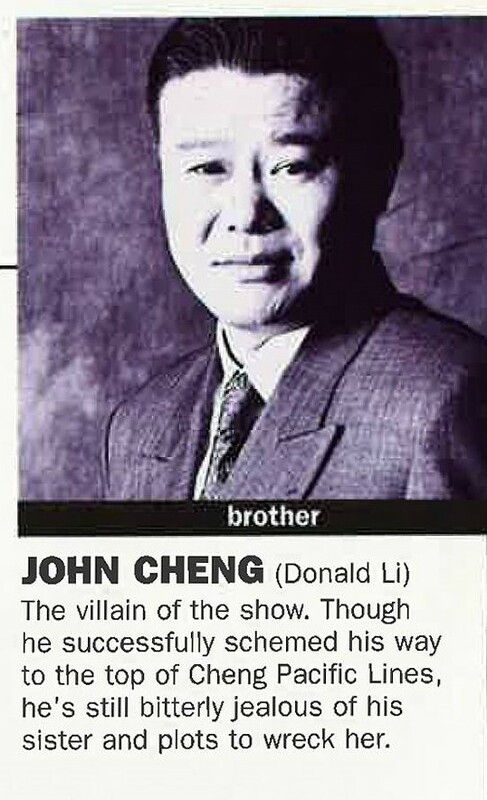 That goes for Ng Chin Han as well. Who knew then the actor would later be in such Hollywood blockbusters as The Dark Knight and Captain America: Winter Soldier? He is one Singaporean who should be in Crazy Rich Asian but isn’t. Neither Wong nor Chin Han was the star of Masters Of The Sea, though. 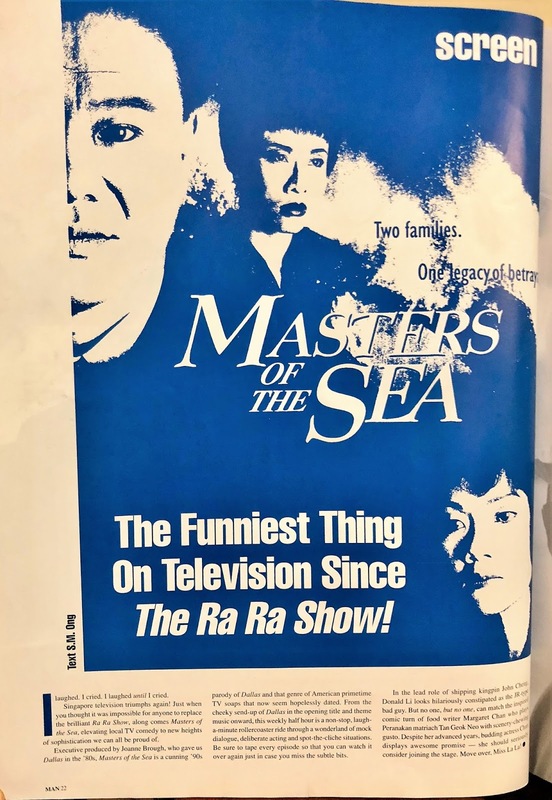 Because Masters Of The Sea was Singapore’s first English-language TV drama series, of course SBC hired an Asian-American named Donald Li to play the male lead since, you know, no English-speaking Singaporean actor was good enough at the time. That is, until the second season (yes, there was a second season) when Li left the show and local actor Lim Kay Tong took over as the lead before redeeming himself later in the less hated Growing Up. The executive producer of Masters Of The Sea was also American, a 60something woman named Joanne Brough, whose credits included 80s soaps Knots Landing, Falcon Crest and Dallas, which Masters Of The Sea was modelled after. 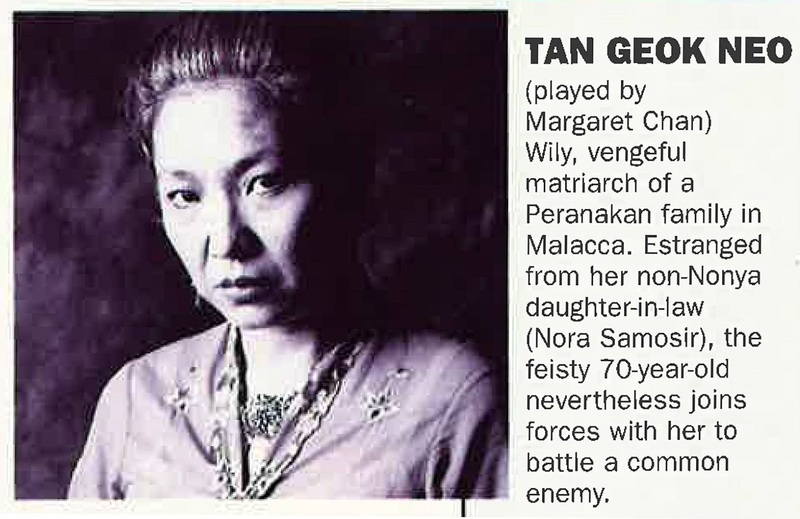 So it was a miracle that Masters Of The Sea’s domineering matriarch wasn’t played by Barbara Bel Geddes but an actual Singaporean, Margaret Chan. While many remember Chan for the line “I’ll crush you like a cockroach”, what I recall she actually said was “Crush him under your foot like you would a cockroach” because in those pre-Phua Chu Kang days, SBC was fastidious in ensuring that the English spoken in all local productions was even better than the Queen’s. 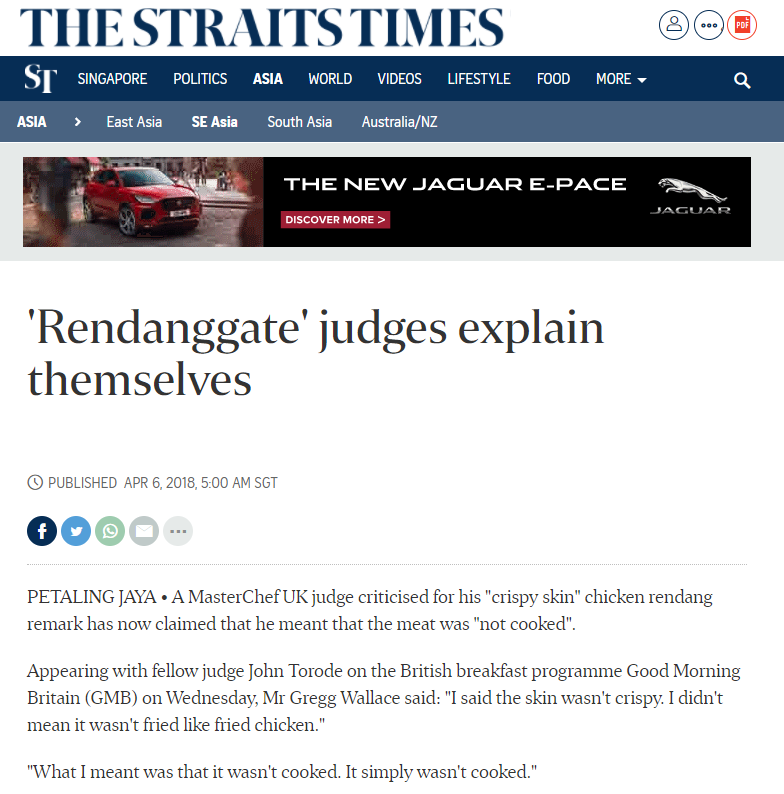 And that is the big reason Singaporeans hated Masters Of Sea then and why we hate the Crazy Rich Asians trailer now. Even though both are supposedly set in Singapore, there’s very little we can relate to as Singaporean. Too foreign. 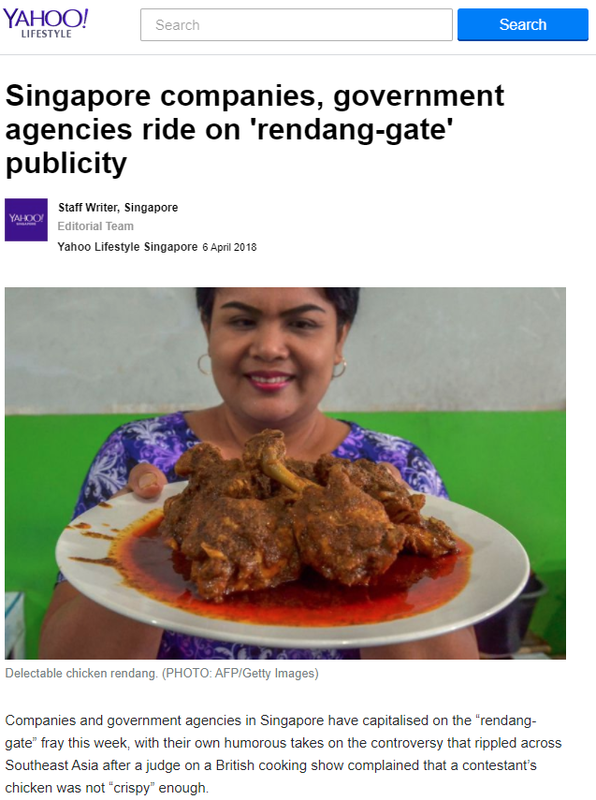 Not representative enough of the real Singapore. And judging by some of the local shows on Channel 5 in the 24 years since Masters Of The Sea, it appears that Mediacorp didn’t quite learn its lesson. At least Crazy Rich Asians has the excuse of being made primarily for the US market. Masters Of The Sea didn’t. Though apparently, it was shown on Indonesian TV dubbed in Bahasa Indonesia. Oh yah, did I mention Tan Kheng Hua was in Masters Of The Sea too? Last Thursday morning, I went to see the giant ape movie Rampage starring Dwayne Johnson at Lido. Of course, I watched it in Imax 3D because, ahem, high socio-economic status (SES). Other people of high SES drive BMWs and let the petrol station attendant pay for their petrol. I like to watch the latest blockbusters wearing cumbersome 3D glasses. Even if it’s a dumb giant ape movie like Rampage starring Dwayne Johnson. I leave the regular 2D movies for the lower SES and maybe later when the movies start streaming on Netflix. In the Lido Imax theatre, there were perhaps only about a dozen people with me and my daughter for the 11.40am screening. We high-SES types are an exclusive bunch. The movie opened with the Warner Bros logo, which was normal. What wasn’t normal was a disembodied male voice describing the logo. The voice then described how the WB logo transformed to the logo of New Line Cinema. Initially, I thought maybe the voice-over was part of the movie as some sort of meta, fourth wall-breaking gag. You know, like in Deadpool. But the first scene of the movie was an intense action-filled sequence that wasn’t jokey at all. And the disembodied voice continued to describe what was happening on the Imax screen. 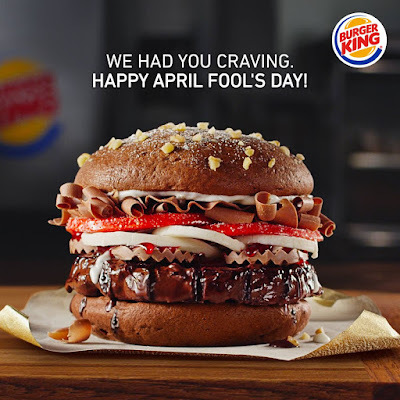 Now I knew something was definitely wrong. Somehow, the movie was being shown with the audio description for the visually-impaired turned on. I've come across this option before with movies on Blu-ray. But in the cinema?! And me without my remote control to turn it off. That’ll teach me to watch the first screening of a movie on opening day. And I foolishly paid extra for the Imax 3D too (because, ahem, high SES). Imax is supposed to be an immersive experience, but the intrusive voice-over just took you out of it. I understand why you would have the audio description for the visually-impaired, but for a 3D movie? I mean, regardless of SES, why would a visually-impaired person pay extra to see a movie in 3D? The cumbersome 3D glasses wouldn’t be of any help. I know what I did. Nothing. Hopefully, one of your staff members was already aware of the problem and correcting it. Or an audience member (other than me) would go and alert someone. There were long stretches when there was no voice-over because the actors in the movie were talking. I thought the problem was fixed. Then the actors stopped talking and the voice-over returned. Then I thought maybe I could live with the audio description and tried to ignore the distraction. The trouble was that the voice-over sometimes described what happened before it happened, spoiling the surprise. Like “An albino ape emerges from the foliage” before the albino ape actually emerged from the foliage. After a few minutes of this, my daughter volunteered to go out to alert someone of the problem. First, she told the usher outside the door. He came in and listened, but then said he couldn't do anything. He told my daughter to go to the ticket counter and ask for the manager, which she did. The manager came in and stood at the back for a while before leaving. I thought the audio description would be turned off eventually, but it never was. Another woman in the audience also went out presumably to complain. She came back, sat for a few minutes until she couldn't take it anymore and left for good with her male companion. Because the movie was so dumb, the inopportune audio description actually made it more interesting. So the glitch turned out to be a blessing in disguise. 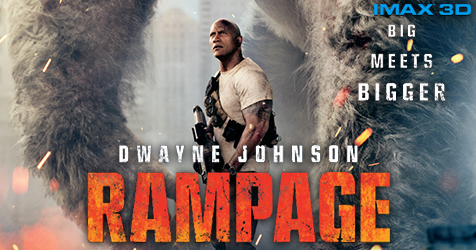 I now feel sorry for anyone watching Rampage starring Dwayne Johnson without it. The last words of the voice-over were “Credits roll”. As I got up to leave, I wondered whether I should even bother asking for a refund. I needn’t have worried as once we stepped out of the theatre, the usher instructed us to go the ticket counter and ask for the manager to get our refund. Except it wasn’t a refund exactly but two complimentary Imax 3D passes. The manager apologised for the audio glitch and explained that the voice-over couldn’t be turned off without stopping the movie halfway, which he didn’t want to do. Hey, I’m just happy I can watch Avengers: Infinity War in Imax 3D next week for free. As the BMW driver demonstrated, we high-SES types love free stuff. Now I just wonder if the woman who left early got her free tickets too.